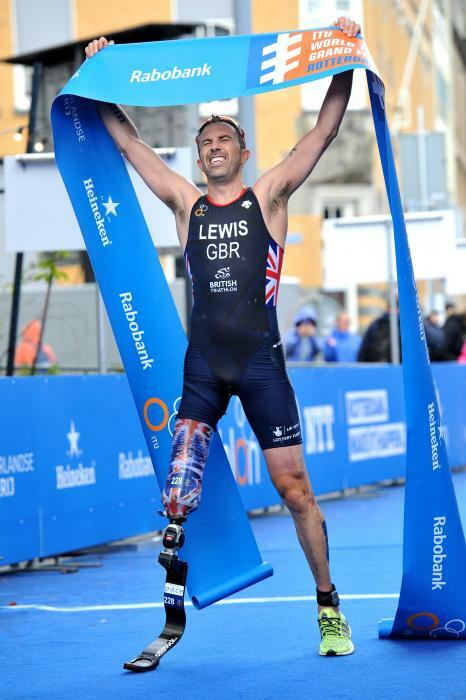 Paralympian gold medalist Andrew (Andy) Lewis sustained a knee amputation (right leg) after been involved in a motorbike accident when he was 16. At the time he was applying to be part of the Army Parachute Regiment and was an excellent cross country runner for Gloucestershire. He spent months in hospital, and his leg was initially saved, but he later had it amputated when he was 22 due to a number of complications. He now trains full time at the Loughborough Triathlon Performance Centre. 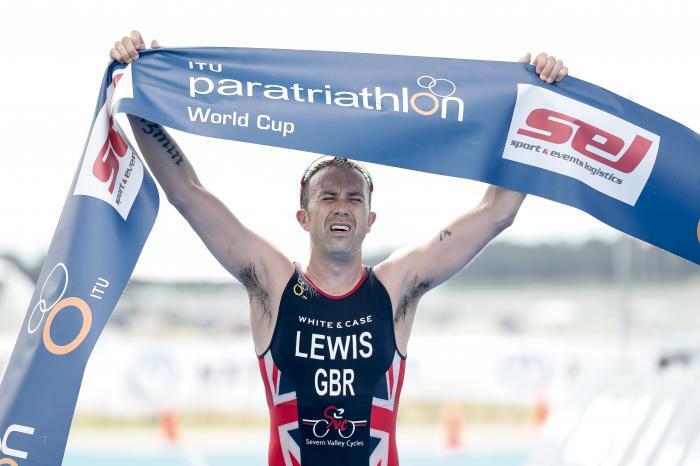 Andy’s first ITU race was in 2014 where he placed 3rd at the 2014 London ITU World Paratriathlon Event. 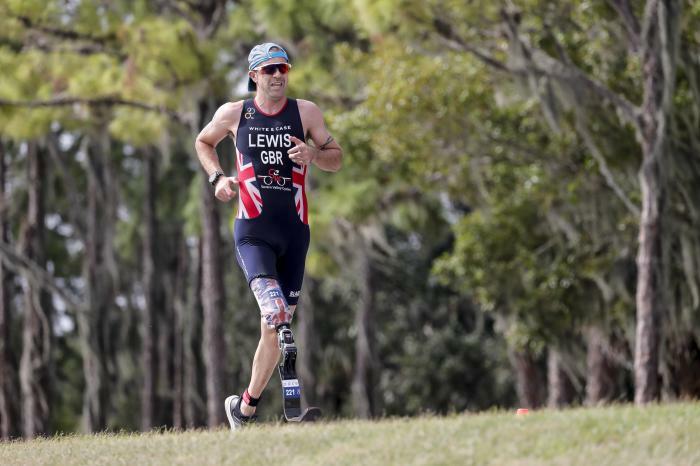 Andy has gone on to have incredible success within paratriathlon, including taking a gold at the 2016 Rio de Janeiro Paralympic Games and a number of podium finishes, most recently, four gold medals in 2016 and three gold medals in 2017. 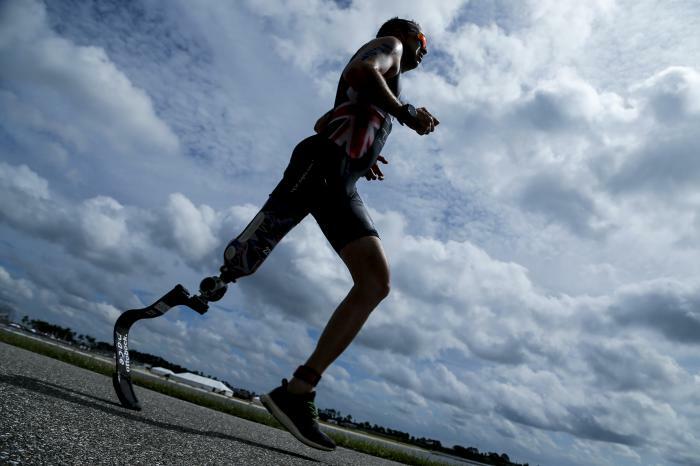 Martin Schulz (GER) for PT4, Andrew Lewis (GBR) for PT2 and Jetze Plat (NED) for PT1 craved their names in the history books and the first-ever Paralympic gold medallist for men's paratriathlon.